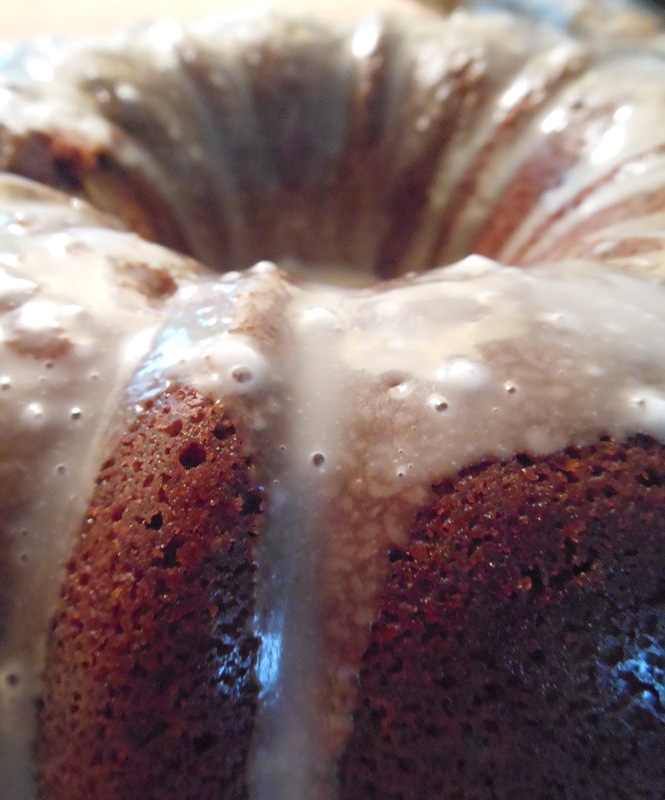 Specifically, a chocolate orange bundt cake – specially requested by one birthday husband and so it was made. When he asked for chocolate orange, I wanted it to be chocolate-y (cocoa-rific in his words) and orange-y. I didn’t want the flavors to be lost in each other so there was a massive amount of orange zest that went into the batter and the glaze was made entirely with orange juice. Preheat your oven to 325 and grease a 10 inch bundt pan. Cream together the butter and sugar. Add in your eggs one at a time until fully incorporated. Then add in your vanilla followed by your dissolved coffee and zest! In a separate bowl, combine the flour, cocoa powder, baking powder and salt. Now to your butter/egg mixture – alternate adding your flour mixture with the milk until everything is completely incorporated. Bake in your bundt pan for 60-70 minutes until the a toothpick comes up clean or until it springs back at you when you touch it (my favorite method, mostly because I never have toothpicks). 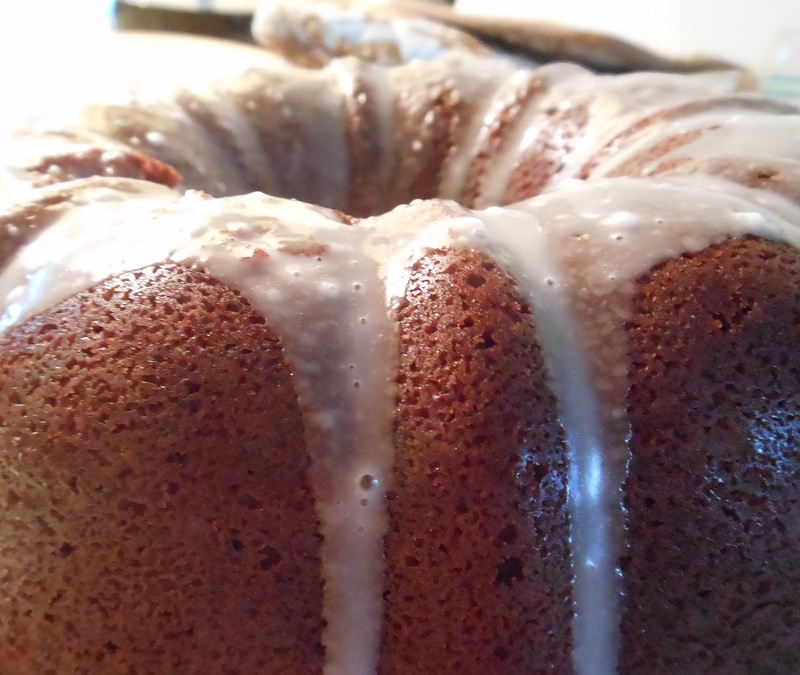 Flip your cake over onto a cooling surface and get ready to glaze! 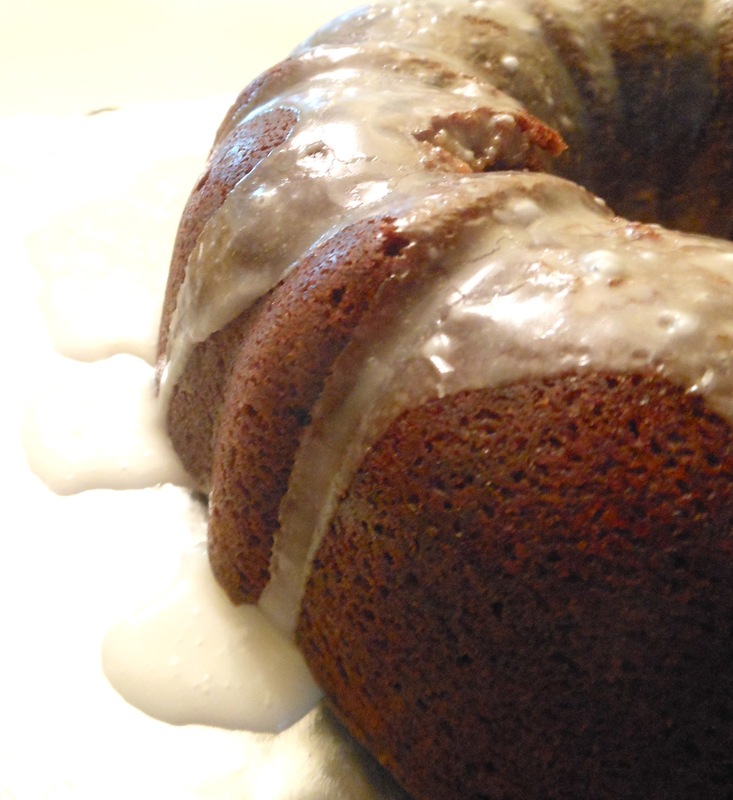 Just mix and pour over your hot bundt cake! YUMMY!! Once it sets the glaze will get that cracked look and the only thing left to do is eat!